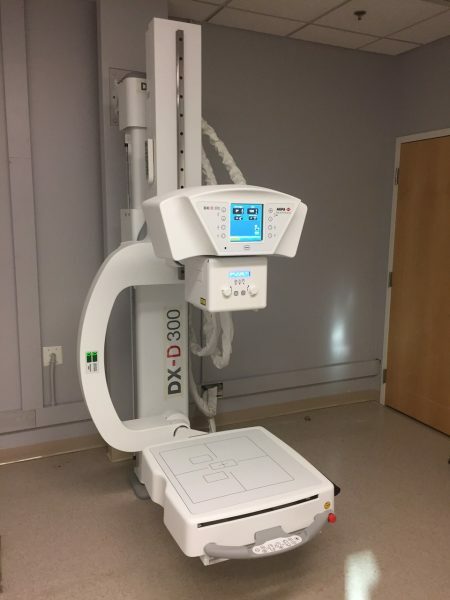 An orthopedic clinic in Howard County, MD received their new AGFA DXD-300 U-Arm this weekend. The CMS team started on Friday evening removing their failing swissray unit. Friday night thru Sunday night the CMS team worked to ensure the practice will be up and running for Monday am. Success! 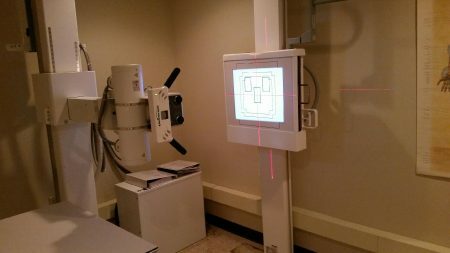 Among the many benefits of the DXD300 is the MUSICA image processing which results in outstanding image quality and low dose to the patient. Read more here. 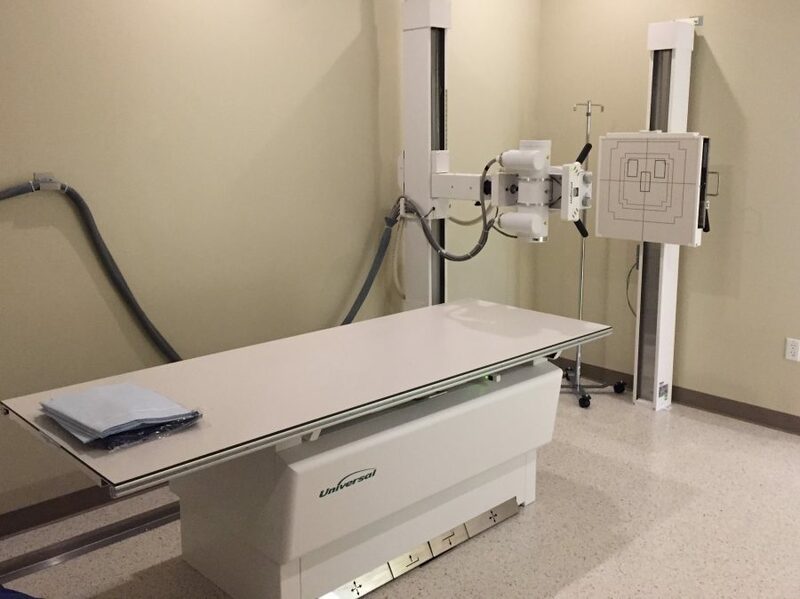 Contact the CMS team today to upgrade your orthopedic imaging department! See AGFAs other products by clicking here. AGFA DXD300 U Arm with 17″X17″ cesium detector. This weeks project was a new spine center in Howard County, MD. The CMS team provided this doctor with a new Universal radiographic system along with Fuji DEVO DR with scoliosis imaging capability. 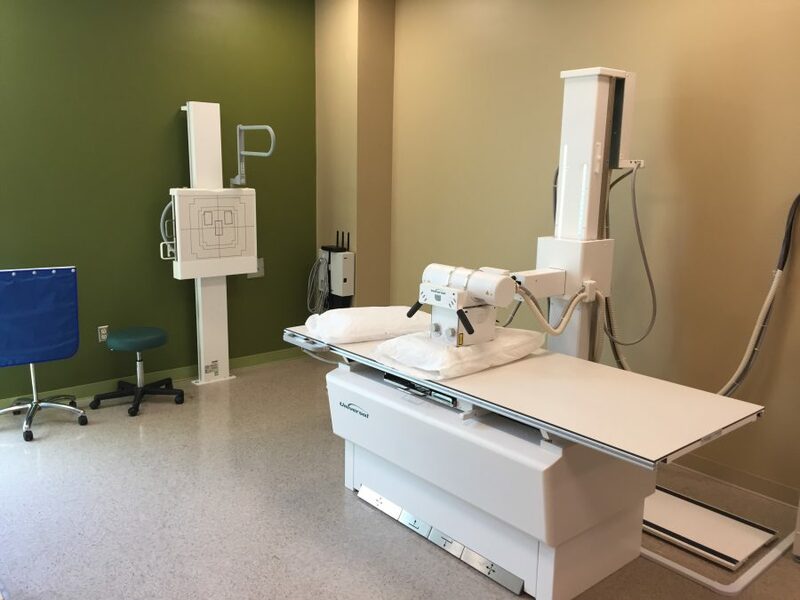 Every aspect of the radiology suite was handled by CMS, Inc. From initial design concepts, physicist shielding report, project management and finally install and technologist application training. Contact us today and experience true, “White Glove” treatment. Santa isn’t the only one who is busy in December! 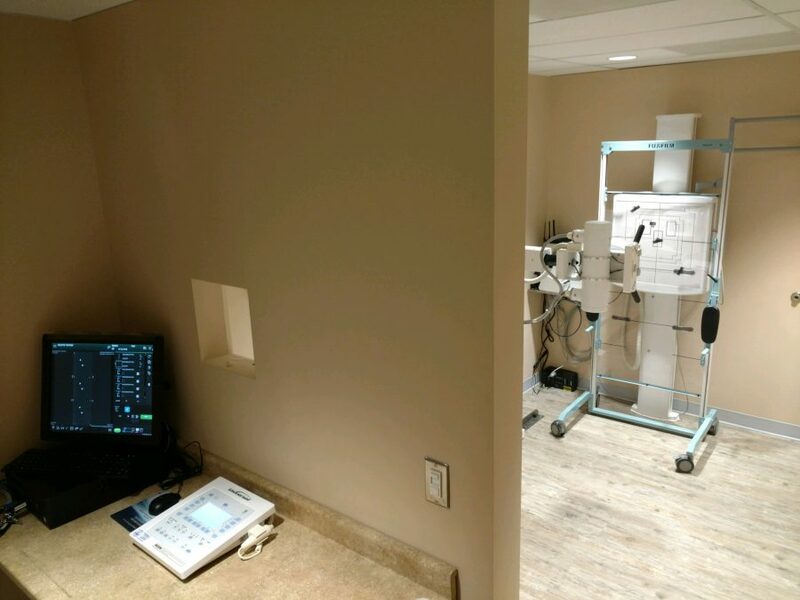 The CMS Installation team is at it again, this weeks project is a brand new Orthopedic clinic in Chester County, PA. We provided 2 new CoRE Labs radiographic systems with Fuji DEVO DR.
65kW CPI H/F generator, CoRE Labs Halo OTS, Atlas elevating table, Flora wallstand with a core labs exclusive (which techs love!) dual top lock release, Fuji dual panel DEVO DR system with a 17″ X 17″ panel in the wallstand and 14″ X 17″ panel for table/table-top work. Fuji’s patented ISS technology ensures patients arnt over radiated, lowering the dose without compromising image quality is a great combination. Contact us today for a demo. 800-333-5643 or click here. Floor plan of orthopedic imaging suite drawn by CMS, Inc.
Out with the old and in with the new! 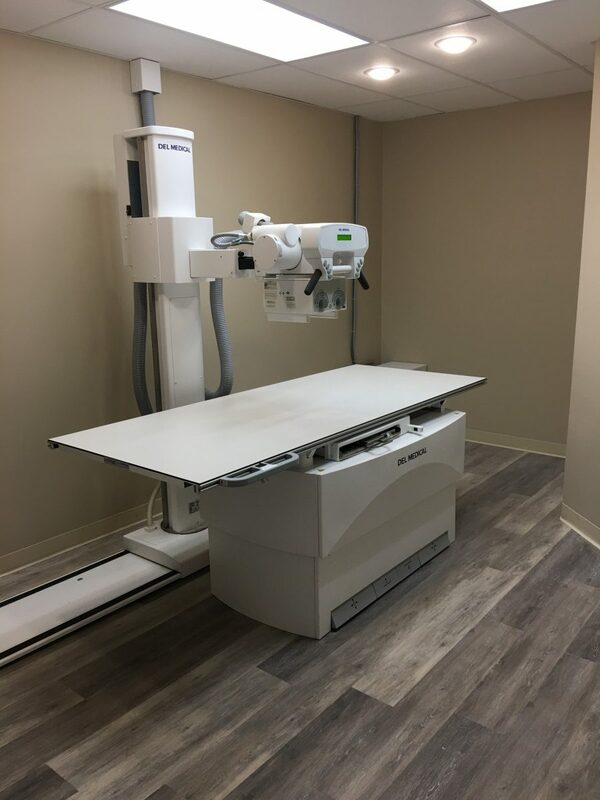 This Internal Medicine clinic in Central Pennsylvania just upgraded their radiology department with a brand new Universal Radiographic system with 32kW CPI generator, Universal Floor Mounted Tubestand, Universal EV650 Table, VS200 wallstand with overhead patient handle and best of all, a 60 month parts warranty! Contact the CMS sales team today for your upgrade. 800-333-5643 or fill out this form. Finished product, Universal radiographic system. 5 year warranty! Perfect collimator alignment to Universal VS200 wallstand. The CMS install team fresh off Thanksgiving break is at it again. This weeks successful project is a new community health clinic in Virginia. 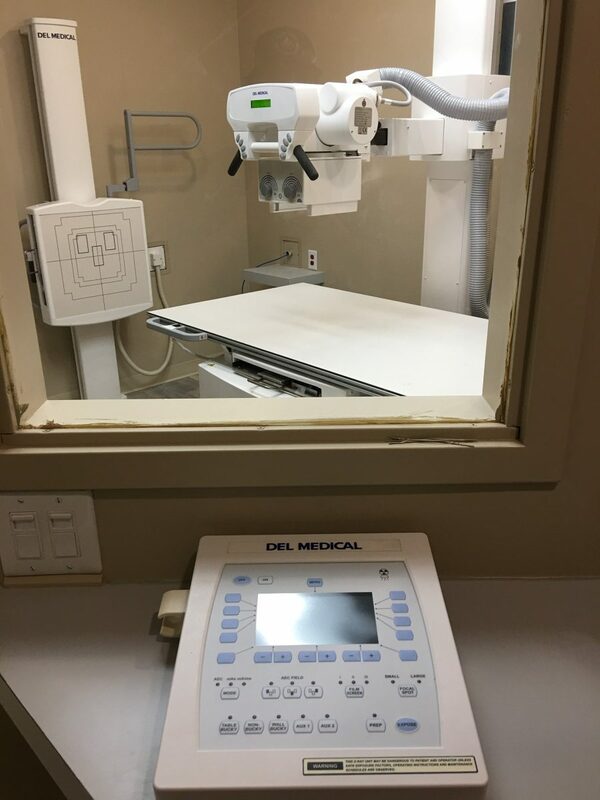 System consists of a brand new Del Medical DFMTS radiographic system, CPI 40kW High-Frequency generator, Del Digital Floor Mounted Tubestand, EV800 elevating table, VS300 wallstand, Fuji DEVO 14″X 17″ wireless DR system and Paxeramed PACS. Contact the CMS sales team today, 800-555-5643 or click here. 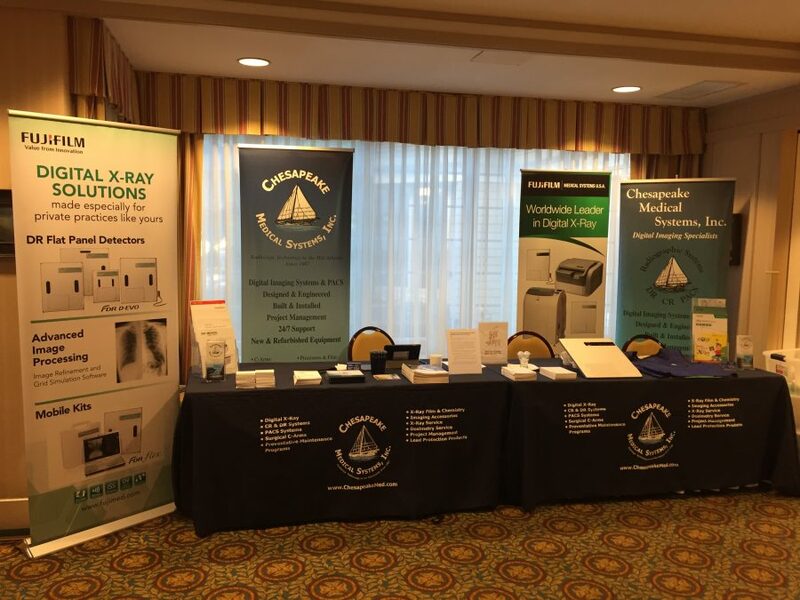 Chesapeake Medical Systems, Inc. attended the 3rd annual NERUCA (North East Regional Urgent Care Assoc.) conference earlier this week. 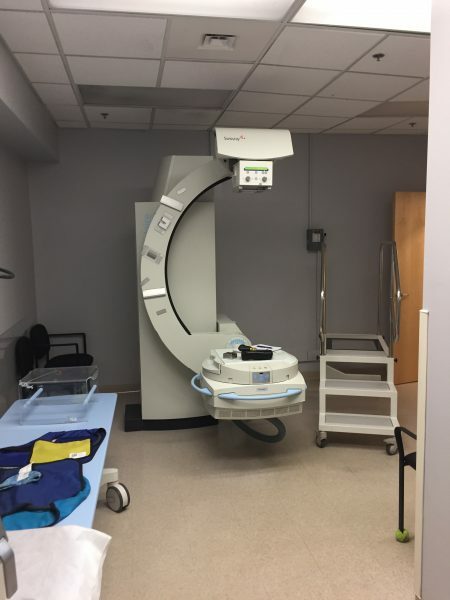 As a gold sponsor we helped many practices answer any questions or concerns they had with their imaging department. 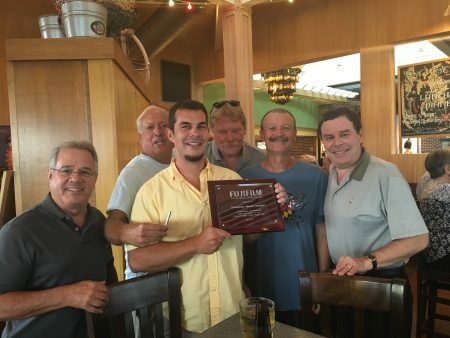 NERUCA is a great group to be a part of, we are proud to support the group. Awards season must be in full swing as CMS receives another award from Del/UMG. Check out Del’s product offering by clicking here, or contact one of our team members today. 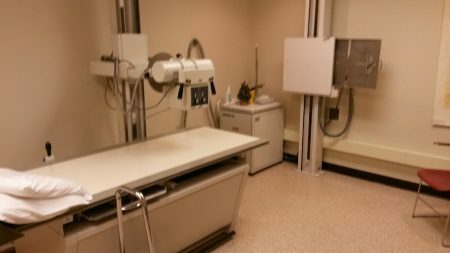 A Pennsylvania Community College will be training tomorrow’s X-Ray techs on a brand new Universal X-Ray system with Fuji DEVO wireless DR. The entire project was a great success, the students and the staff can’t wait for school to start. Contact us today to see how we can assist your radiology program, 800-333-5643 or click here. 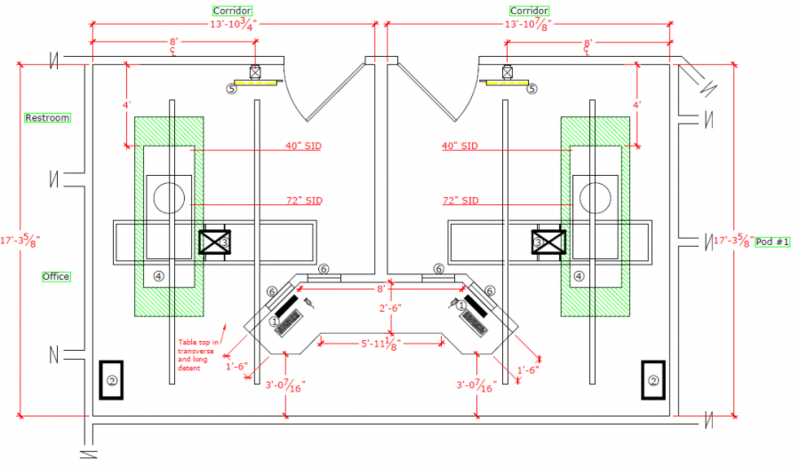 Universal FMTS, Universal EV650 table, Universal VS200 wallstand. Universal Anthem X-Ray control along with Fuji FDX console. 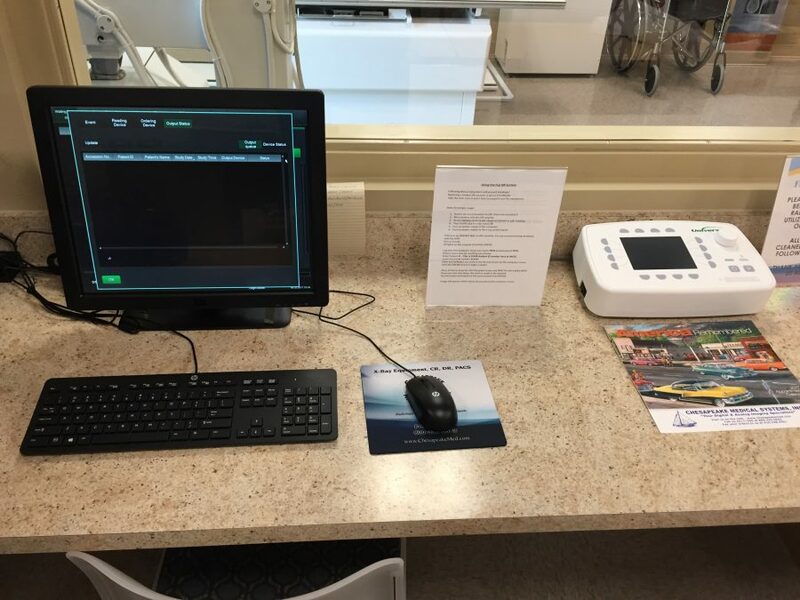 The CMS install team just finished another new installation at a new Urgent Care clinic in Ocean County, NJ. 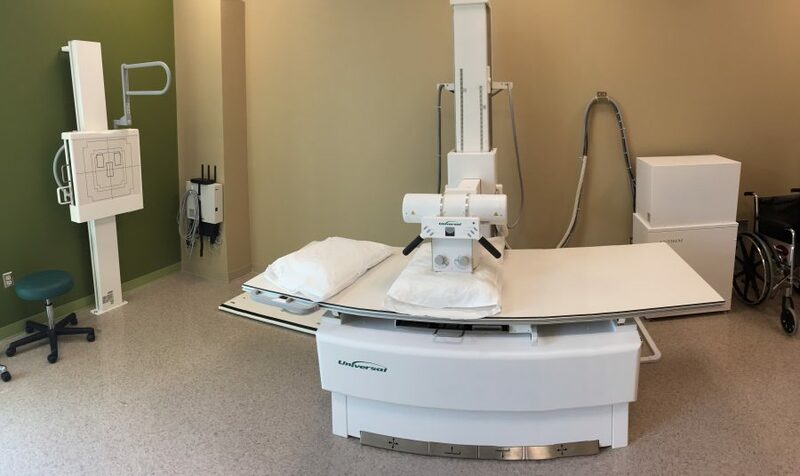 We provided the clinic with a new Universal H/F X-Ray with 32kW Universal Anthem generator, EV650 elevating table, VS100 wall stand, Varian X-Ray tube and Fuji XL2 CR with FDX 9.0. The customer can rest assured with Universal’s 60 month parts warranty and Fuji’s outstanding image quality. Contact the CMS team today, 800-333-5643. 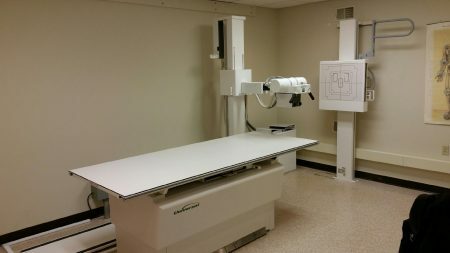 Universal X-Ray System with EV650 table, VS100 wall stand, 3308 tubestand and Fuji XL2 CR. 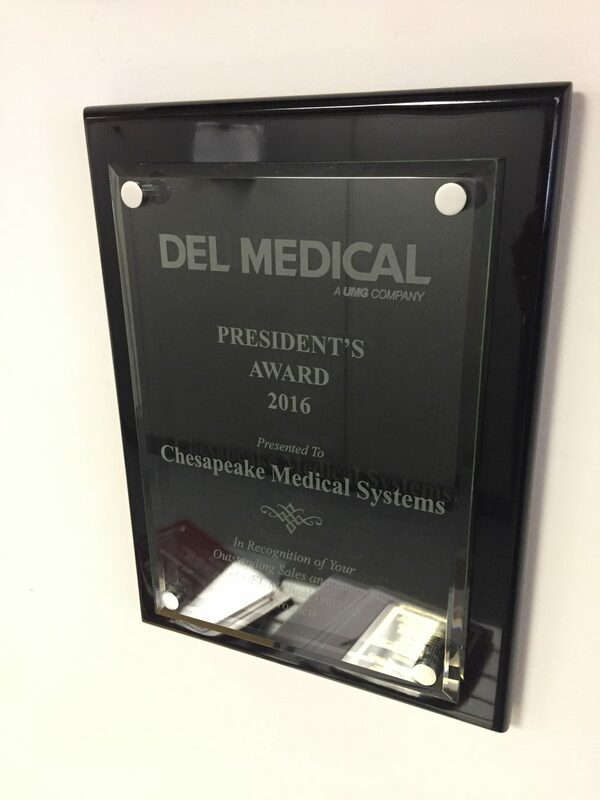 CMS was honored with another sales award from Fuji Medical Systems USA for superior sales and support of the Fuji product line. Click here to browse Fuji’s product offering. Contact us today to set up a demo for your department.